Asthma is a chronic disease caused by an increased bronchial reaction to physical, chemical or pharmacological stimuli. The bronchial mucosa is inflamed in asthma patients, obstructing the access of air from the lungs. Nervous tension, exposure to cold air and allergens can cause life-threatening choking attacks. Inhalation, which delivers the drug to the bronchi and lungs, is an optimal asthma treatment for many reasons. There is a wide choice of inhalers, which are also known under different names (puffers, pumps, etc.). Understanding asthma medications will enable you to discuss optimal treatment with your doctor and manage the symptoms successfully. The informational age we live in makes it possible to approach one’s own health with maximal awareness. Services like Healthline.com, Medlineplus.gov, Borderhealth.org, Doctor.com and many others provide informational support and even free online doctor consultations, so we call upon you to use every opportunity to learn about your condition. With diseases like asthma, the more you know about it, the better your life quality is – and in certain cases, it can be a life saving factor. A device for asthma treatment known as inhaler allows the drug to enter the lungs directly. Inhalers can be classified according to the device types and medication types. Steam inhaler Releases the drug in the form of steam at a temperature of 100 ⁰C. This method allows small particles of drug to penetrate into the pulmonary pathways and bronchi. Cannot be used with increased body temperature (above 37.5° C). Hot steam is inconvenient to inhale. Can be used with a limited number of drugs. Low drug concentration in the steam reduces the effectiveness of treatment. Metered dose aerosol inhaler Releases the drug dose in the form of fine spray. The user should press the button and inhale simultaneously. This might not be suitable for younger children and people who cannot coordinate their breathing with hand movements. Nebulizer The drug is broken into small dispersed particles, which allows it to penetrate deeply into the bronchi. The steam produced by the nebulizer isn’t hot and is comfortable to inhale. Nebulizers are quite bulky, so caring them around to eliminate a possible choke outside your home is not an option. Nebulizers can be used at home or in a health facility. Portable nebulizers are relatively new and aren’t used very often because of the high price. Nebulizer is a device capable of breaking chemicals into finest particles that penetrate the bronchi and lungs. Steam produced by the device isn’t hot, which expands the range of medications that can be used for treatment. This intake method makes treatment very effective and contributes to a rapid recovery. When using a nebulizer at home, it is necessary to thoroughly wash the chamber, tube, mouthpiece and mask after each use. This type is the most common to use for asthma treatment due to its low price and convenience. Metered dose aerosol inhalers can contain various medications in different dosages. The downside of these devices is that the medicine would only enter the respiratory tract on the inhale, that is, the person should be trained/physically capable to use the inhaler. Another disadvantage is that a small amount of the substance will settle on the mucosa and further enter the stomach with saliva, causing unpleasant sensations. Aerosol containers are light and handy enough to constantly wear them in your pocket or purse. However, they might be difficult to use for younger children and people with coordination impairment. Dry powder inhalers are efficient and easy to use. DPI is releasing the drug only when the user makes a deep and fast in-breath with the mouth peace properly attached. The drug release is controlled by the breath, which makes them different and somehow better then the metered dose inhalers. However, DPI can be quite costly, which is commonly seen as their only downside. Asthma medications can be divided into two main groups. Anti-inflammatory drugs are used for basic therapy directly addressing the cause of the disease, while bronchodilators increase the bronchi lumen within minutes to stop the choking attack. Each group is represented by a large list of medical preparations. It should be noted that asthma is a disease with a continuously recurring course, i.e. the inflammatory process is ongoing, therefore, in order to manage disease, treatment should be provided constantly. Drugs from the second group remove the symptoms only temporarily. Choke attacks that occur twice a week or often show poor disease management. Usually the most gentle aerosols are prescribed first, and, if the desirable effect was not achieved, a stronger medication can be tried instead. 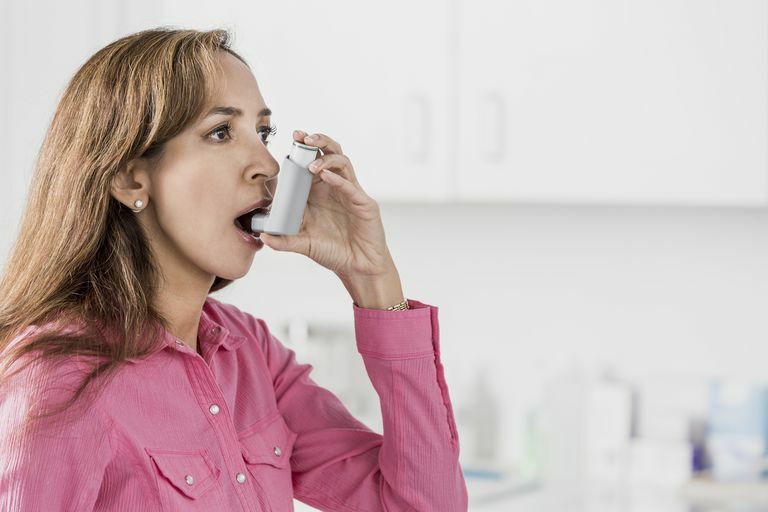 The so-called hormonal inhalers, which in particular include Ventolin and Symbicort, are considered the most effective due to a rapid removal of asthmatic symptoms, both in adults and in children. Such inhalers use glucocorticosteroids with an extended spectrum of action, which efficiently treat inflammations and remove the swelling of the mucous membranes with the help of adrenaline hormone. Steroid drugs affect the respiratory system without entering the bloodstream and without disturbing the internal metabolic processes, so their side effects are minimal. The most effective and widely used are hormonal medications such as benacort, becotide, budesonide; inhakort, flunisolide, beclomethasone, fliksotid, beclometh and fluticasone. Important to note that hormonal aerosols are prescribed only if other medications weren’t efficient enough.